To help our customers achieve their business goals by using our knowledge, skills and expertise, and to provide them with the latest and best-in-industry practices and technologies. Established in the 1950s, ICL International is one of the oldest IT solution providers in Pakistan. With our service centres located in Karachi, Lahore and Islamabad, ICL provides country wide installation and maintenance of servers, distributed systems as well as broadband and telecom services. 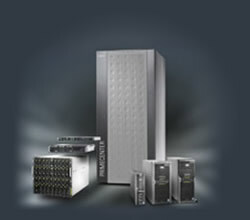 ICL is an Authorized Reseller of Huawei and provides Broadband & Telecom solutions. ICL teams up with Huawei, a world leading Telecom solutions provider to give you the best services in transmission network, data communication, broadband core network along with customer oriented solutions. ICL is an Authorized Reseller Business and Service Partner of Fujitsu in Pakistan. Together with Fujitsu, ICL leverages its base of cutting edge, high performance technologies to offer total IT products and services ranging from mobile devices to mainframes and storage servers, and service-oriented IT infrastructure. Copyright 2009 © ICL International (Pvt) Ltd. All rights reserved.